For the longest time, I did nothing with my face skin care wise. Nada. Zip. Zilch. I mean, I used a face wipe to wipe off the make-up from the day before, but I don't think that even really counted. But I did an Influenster voxbox for Origins (which you can read here) and found products that I really liked and could see myself using. So much so that I've bought some of them full price! I was excited to get the notification for this voxbox. I didn't know that it was for L'Oreal, but I did know that it was an anti-aging cream. I don't think I particularly need anti-aging cream, but I figure your 30s is probably a good time to start. The way Influenster works is they send you complimentary products for your honest review. I am not compensated in any way and my thoughts are my own. So, I got the box. It was a full size product of the L'Oreal Triple Power anti-aging cream. I was supposed to put it on morning and night for 14 days and take a before and after photo. First off, I look angry, but I'm not. I'm just not supposed to smile. Looking at my naked face, I don't really see that much that needs improving. I do have some bags under my eyes, but other than that, my skin looks clear and I don't really see many signs of aging. I have my mother's skin, thank you Lord! My first impression when I put on the product was the smell. I hated it. The cream was heavily perfumed and it smelled like I rolled my face in a perfume counter. Or, like an old lady. All I could smell was my face for at least 10 minutes and that is not what I want when I first get out of the shower. The cream itself was a nice texture, not too heavy, didn't leave my face feeling sticky or oily. But that smell. I used the product for 14 days. I used it every morning and mostly every night. I'll admit that I wasn't always the best at remembering to use it at night (still getting used to that whole skincare routine thing). 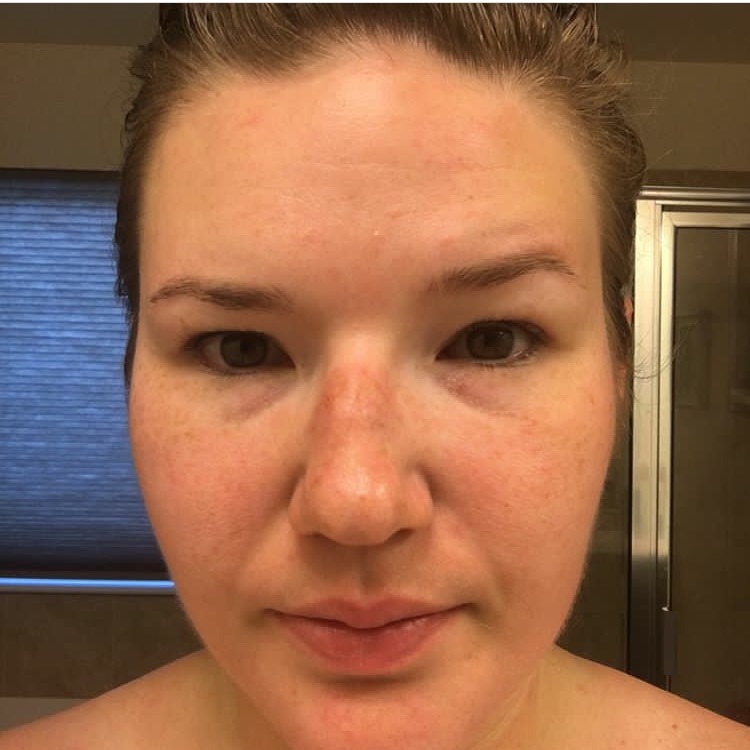 Looking at the comparison, I can see that the bags under my eyes decreased and some lines around my mouth, too. Honestly, I wasn't expecting to see much, so these were pretty good results in my opinion. When the 14 days were over, I stopped using the product. I have no intention of using the product again. And here is why: the smell! I'm not what you would call a crunchy or granola girl. I'm not someone that is actively trying to only use organic or chemical free products, but I do care about what is in my products. I have not closely examined what is in this product, so I'm not commenting on that, but the smell is not a natural one. It's way too overpowering for that. I don't want my face to smell or to smell my face. I don't wear perfume every day and, honestly, some days I felt like I couldn't wear it because of this moisturizer. The last thing I wanted was to be that person that walked by and all you smelled was them. However, I do think that this product has good results. 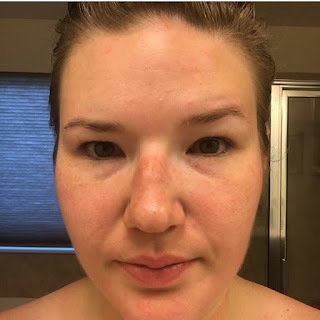 I was very surprised to be able to see the results I did in 14 days. If you don't mind the smell (it does smell nice), then I would recommend this product to you. It was just too overpowering for me. 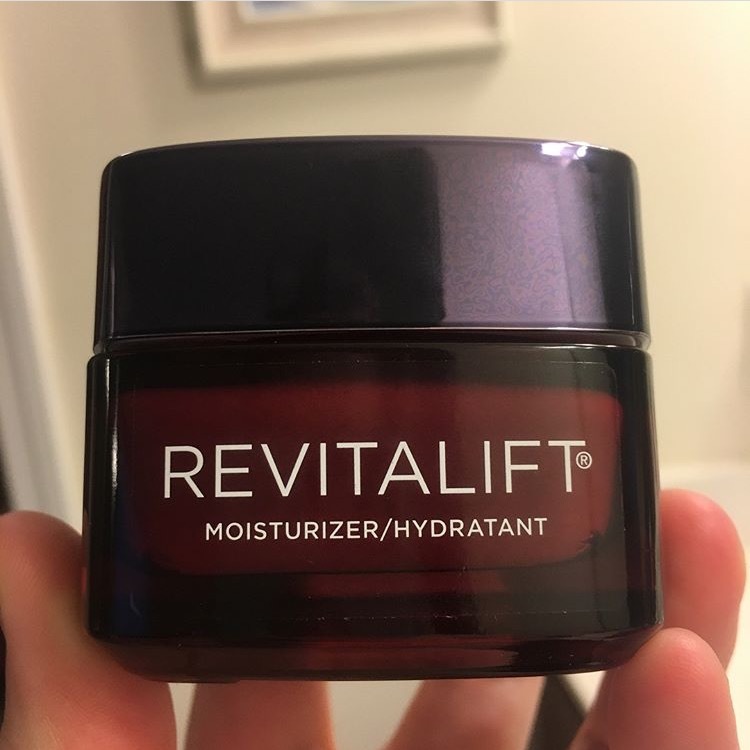 I was happy to go back to my regular moisturizer. The other good thing is that it's a really great price at about $10. So you could try it out and not feel like you made a huge investment if you were interested. Overall, I was actually pretty surprised by this product. It works really well. I just don't like the smell. 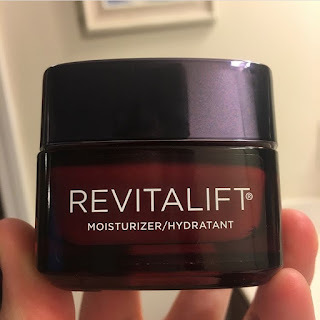 Would you wear a smelly moisturizer or am I just crazy?